Every US state and the majority of US cities with more than one million inhabitants conduct foreign affairs, with varying levels of efficacy and resources. Approximately 40 US states have a rough total of 250 representations abroad. Pennsylvania and Missouri operate the most overseas offices (15), followed by Florida (13) and Georgia (11). But while power has grown at a sub-national level, leadership has not. National states have manifest leaders and the narratives of power are clearly demarcated by economic, military, technological or social strength. But sub-national mayors and governors have not shown the same drive. Leadership is diffuse and often absent. This makes activity fragmented, experimental, and often duplicated. Although there are more than 150 international networks and organizations with cities and states as members, about a third of them present overlapping agendas and questionable performance. This shows poor governance. 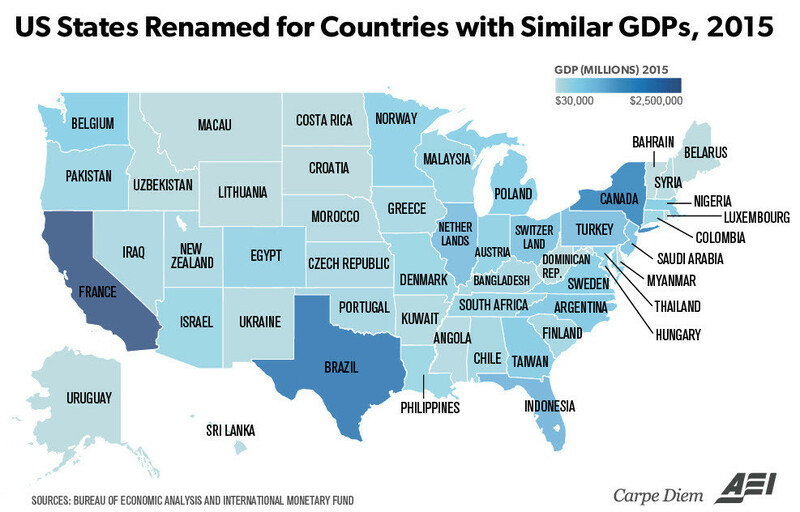 California is the world’s wealthiest sub-national entity – and its sixth largest economy, between the UK and France. Now is the perfect time for it to step in. To paraphrase Truman, California “must take immediate and resolute action”. It has made some headway in the international arena over the last decade. But it has been punching beneath its weight. California is the modern version of Kumbhakarna, the Hindu giant cursed to fight for six months of every year – and sleep for the remaining six. Throughout its history, California has attracted people from all over the world. But it took until Governor Pat Brown’s administration, from 1959 to 1967, for it to grasp the relevance of an international agenda. It opened offices in London and Tokyo, since discontinued, to strengthen international trade. Then it 1977, the state established an internal Office of International Trade. In 1999, it nominated a Secretary of Foreign Affairs to strengthen political and economic ties with international partners. Under Governors Arnold Schwarzenegger (2003-2011) and Jerry Brown (2011- present), it made some important achievements around trade and climate change. In June 2017, Governor Brown met the Chinese president Xi Jinping and signed an agreement to work together to reduce emissions. At COP 23 in Bonn, Governor Brown and former New York mayor Michael Bloomberg reiterated the US’ commitment to fighting climate change.